He's the man whose goal delivered Southampton's only major trophy in 130 years and counting. Bobby Stokes's winning goal in the 1976 FA Cup Final marked an unforgettable 11-second sequence of play for Saints fans, but just how did a Portsmouth-born Pompey supporter end up scoring a cup-winning goal for his boyhood team's hated, local rivals? Bobby Stokes: The Man from Portsmouth Who Scored Southampton's Most Famous Goal answers this question and so many others. Such as, what led him to leave Saints just a year after his glory? Why did he swap the glamour of the US League and crowds of 50,000-plus in New York for the grass roots of the Sussex County League? How did he end up waiting tables in a Portsmouth cafe? And, why, less than 20 years on from that historic May afternoon, did he end up dying in poverty in 1995 at the tender age of just 44 - shortly before his testimonial match was due to take place at the Dell? 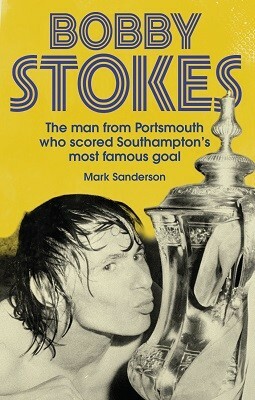 This book takes a long overdue look at the life of Bobby Stokes, answers those questions and tells the story of a legendary figure in Southampton's history and the man who scored the club's most-famous goal.